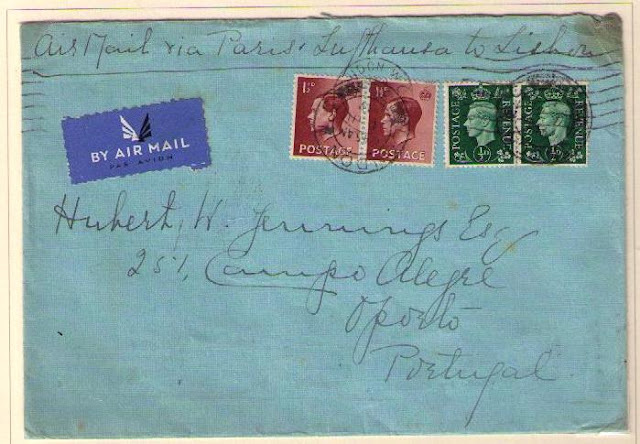 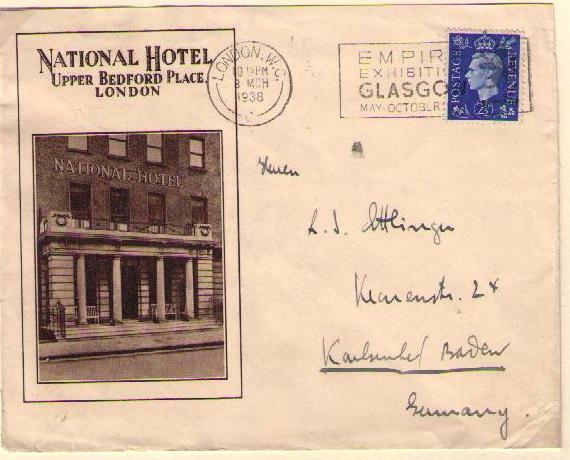 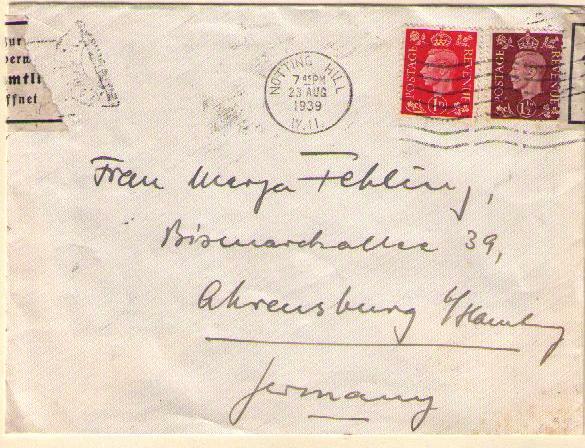 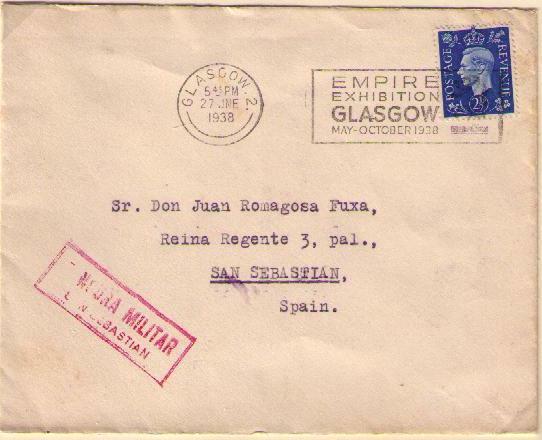 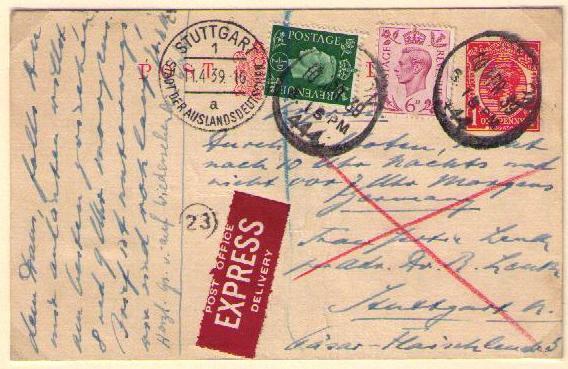 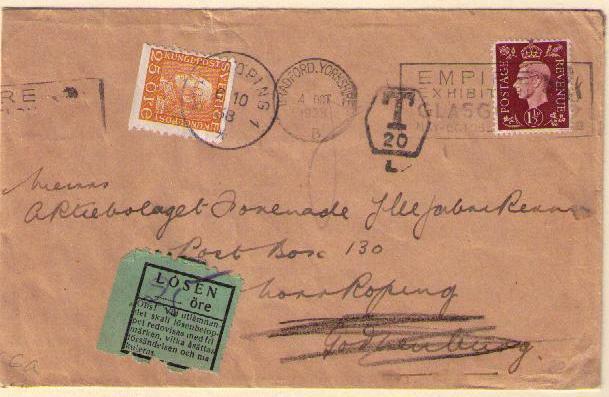 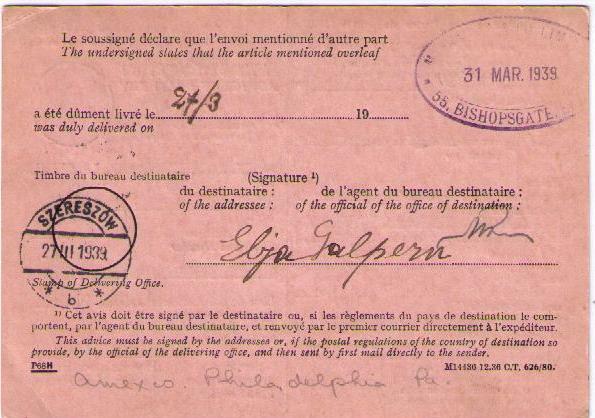 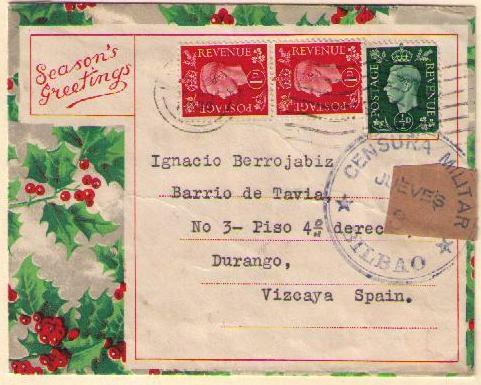 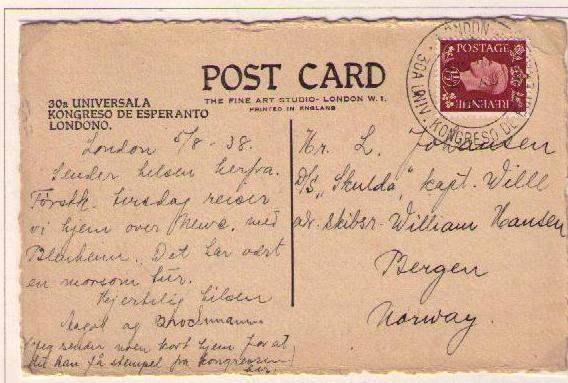 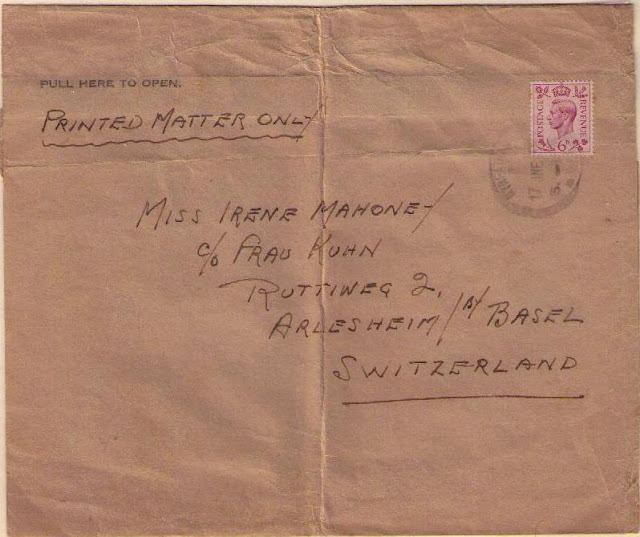 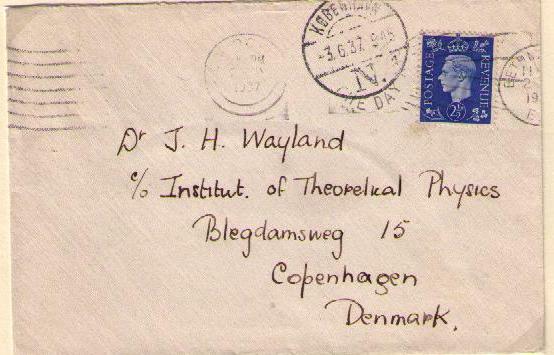 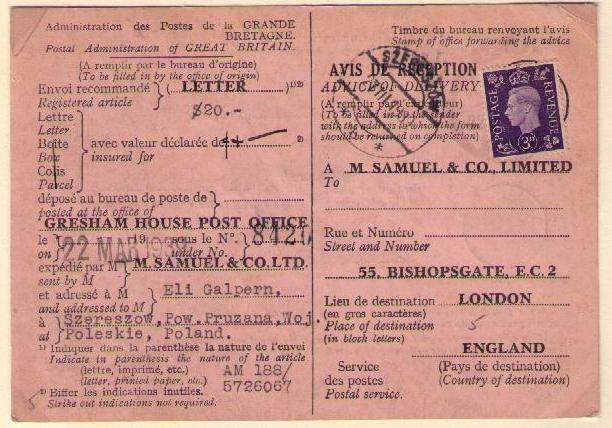 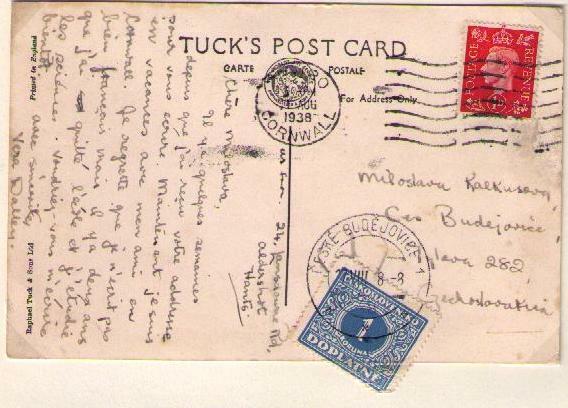 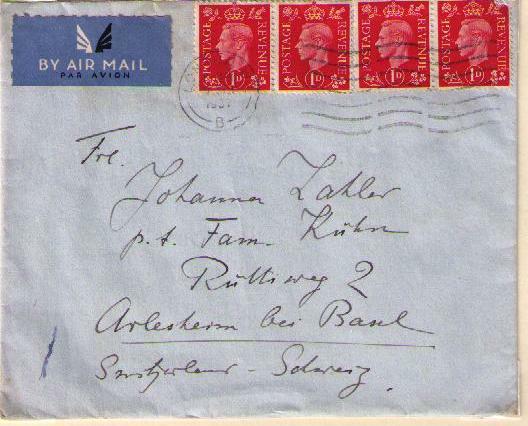 This article deals with mail to Europe during the pre-war period. 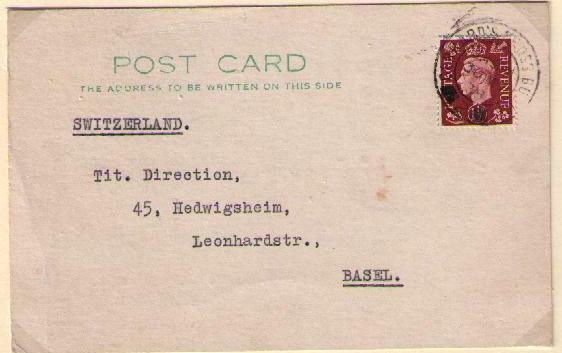 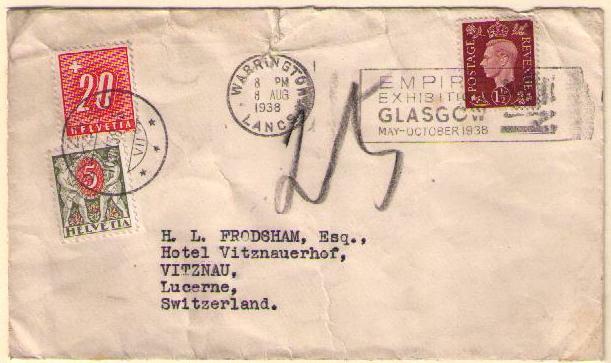 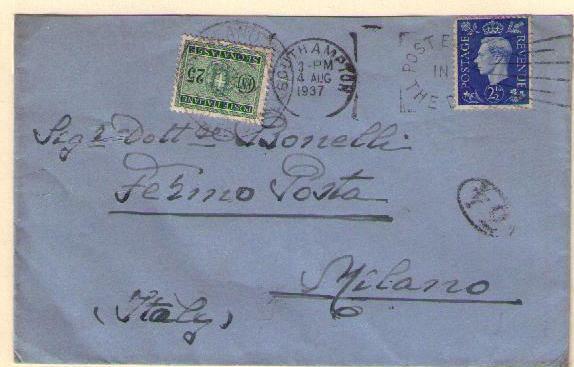 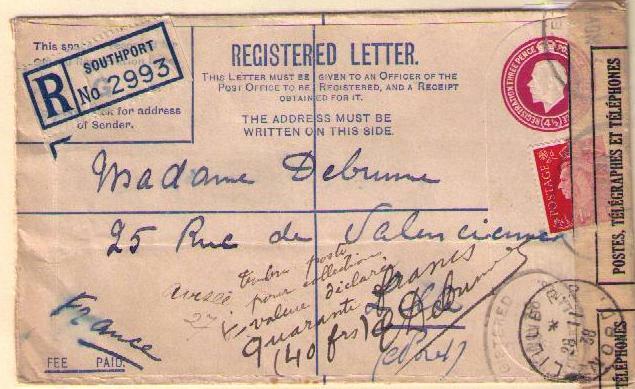 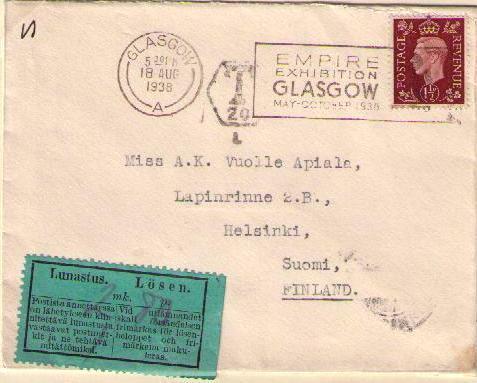 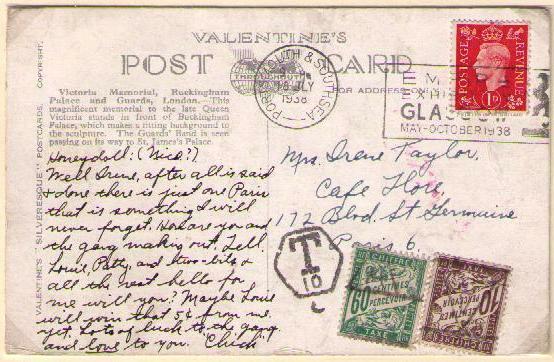 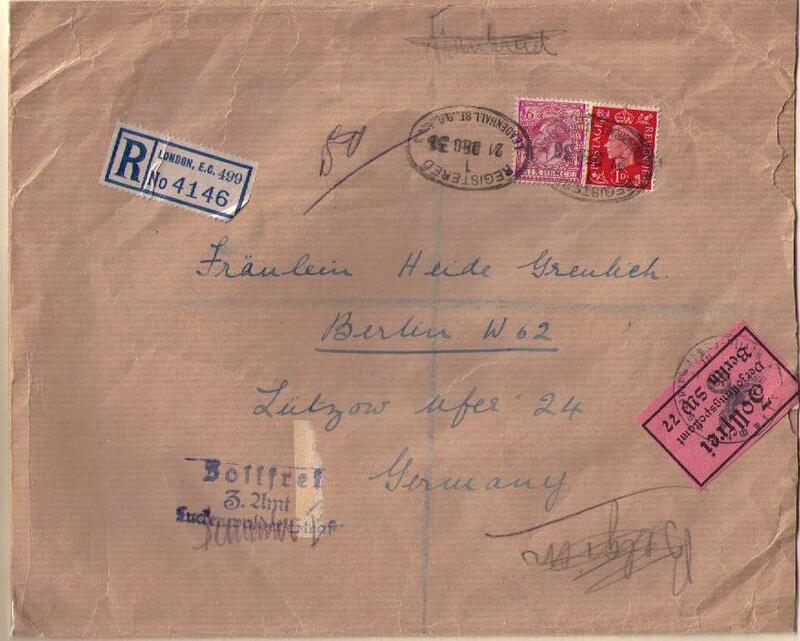 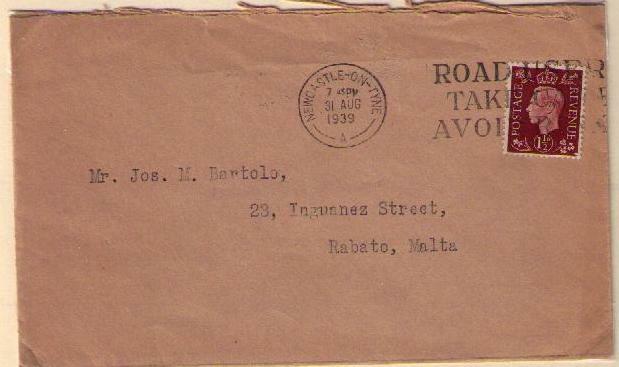 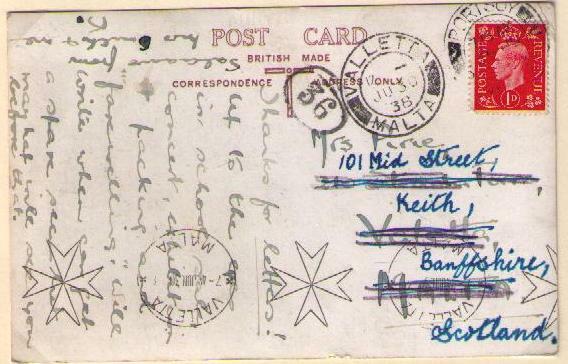 The air mail letter rate to Europe was 4d. 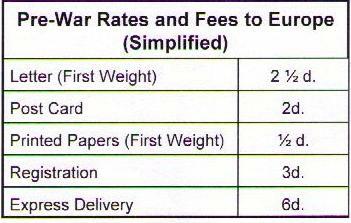 (combined letter rate + air mail fee) for the first ounce. 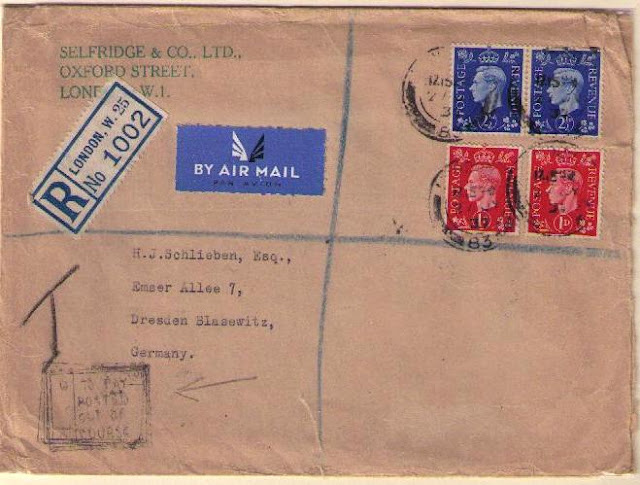 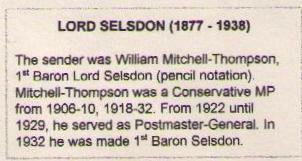 All-up service was provided for First Class mail (letters, letter packets and postcards) prepaid at ordinary international rates of postage. 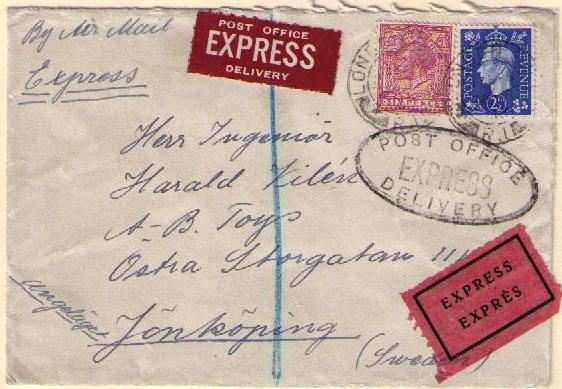 All-up mail was dispatched on weekdays by air or surface transport, whichever afforded the quicker delivery. 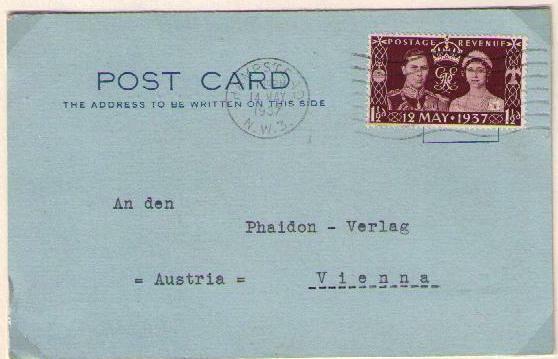 Germany first annexed Czechoslovakia's northern and western border regions (the Sudetenland) under the terms of the Munich Agreement of 1938. 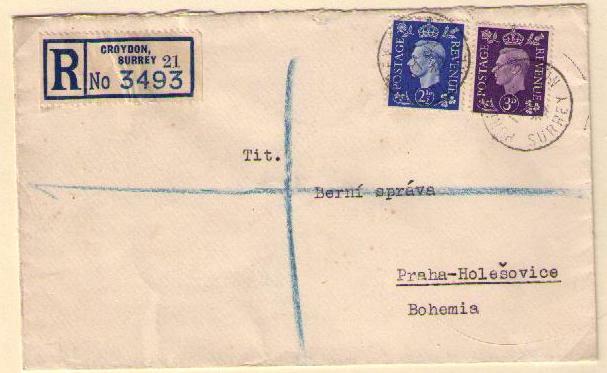 On March 19, 1939, the German army occupied the rest of Czechoslovakia, which became the Protectorate of Bohemia and Moravia. 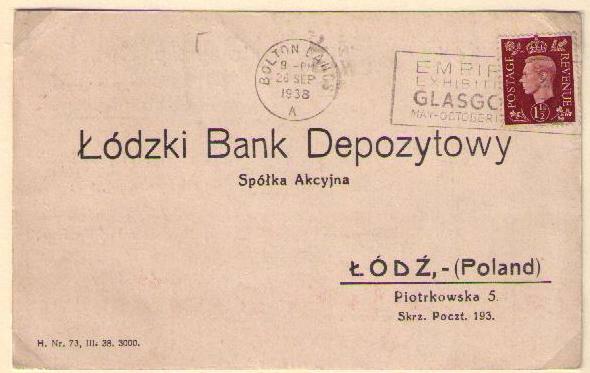 Advice of Delivery fee was 3d. Addressee left and letter returned to sender. 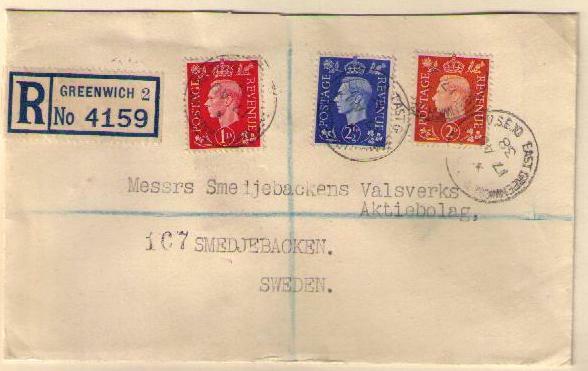 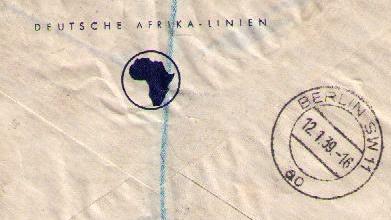 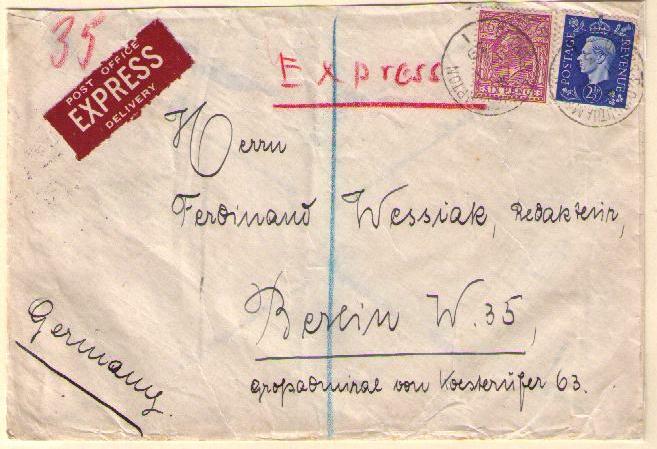 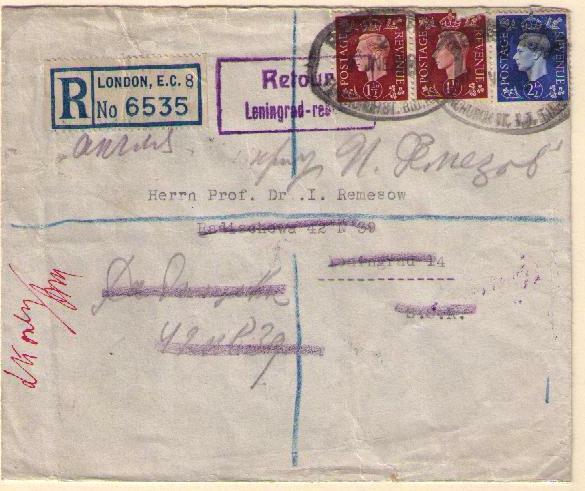 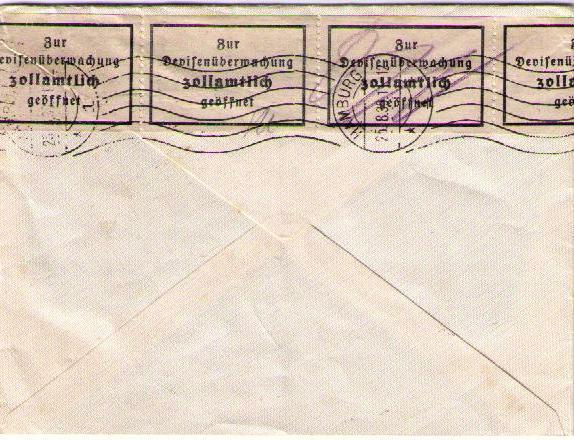 Leningrad "Retour" handstamp on the front of the envelope. 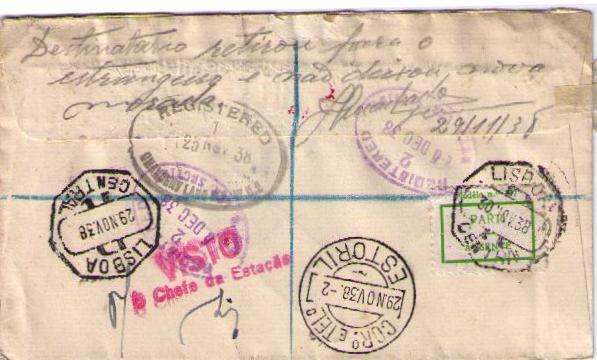 Poste Restante fee 30 c.
The 1 1/2d. 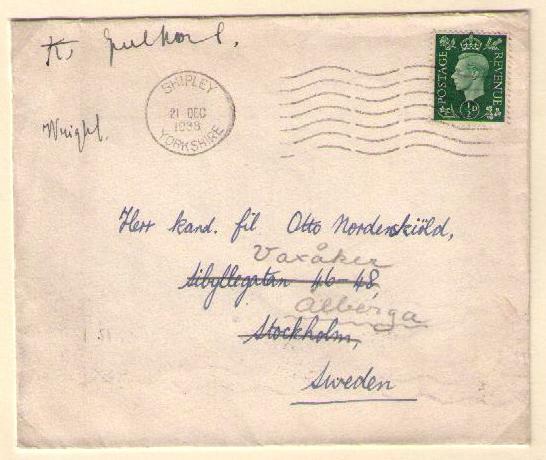 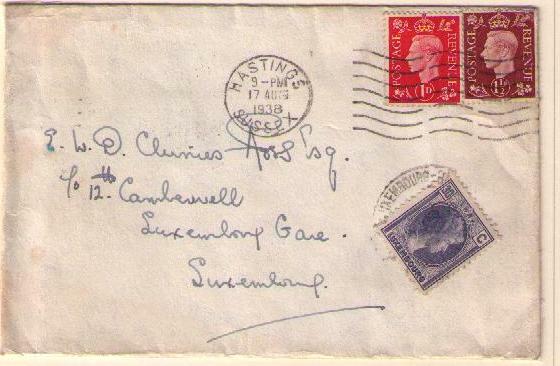 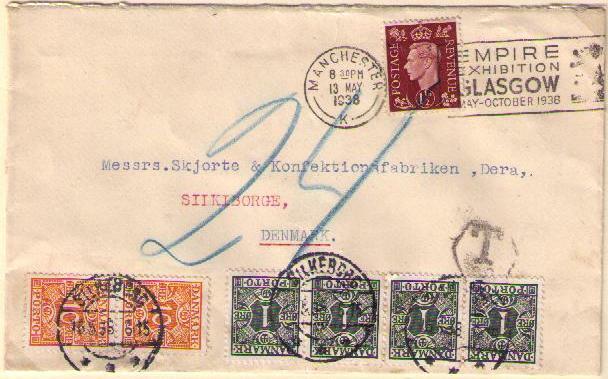 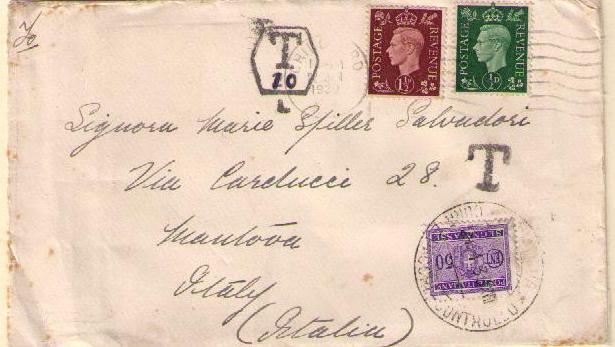 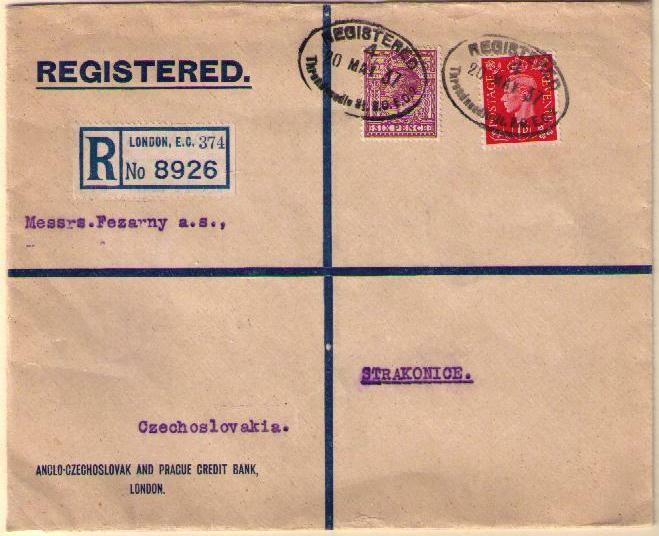 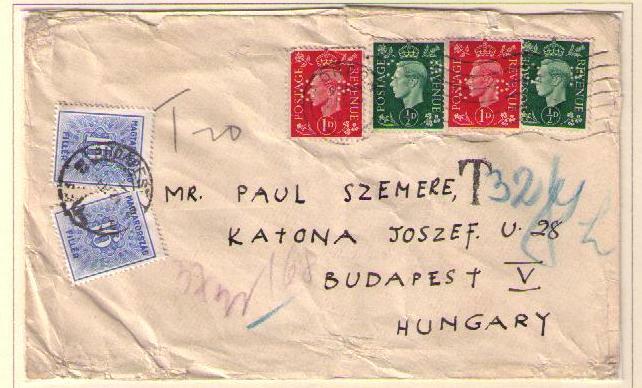 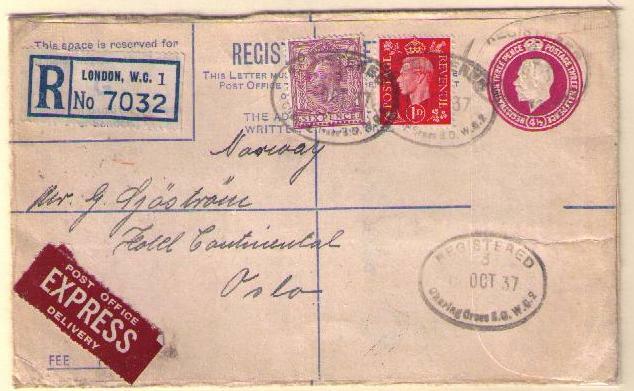 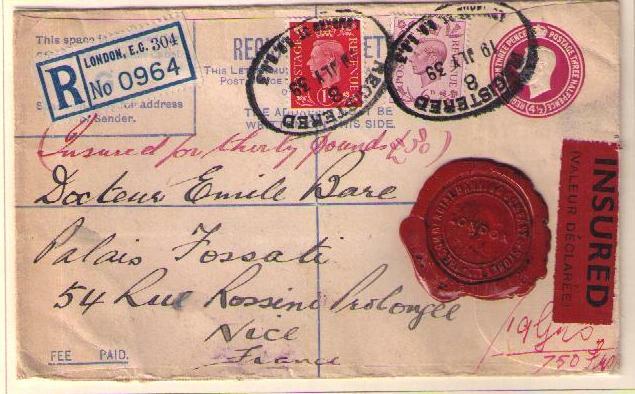 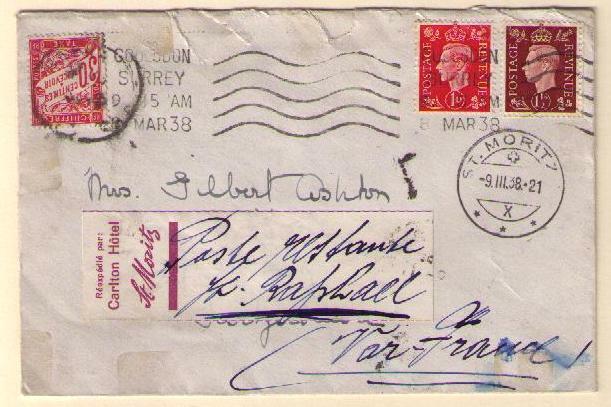 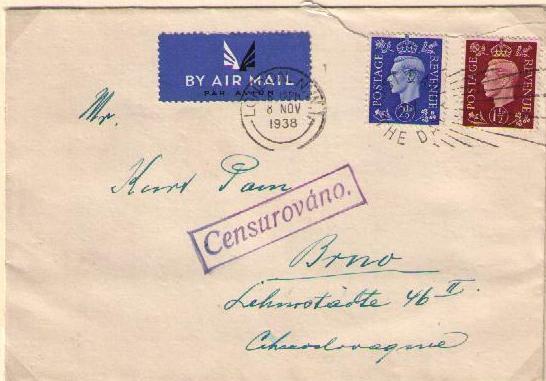 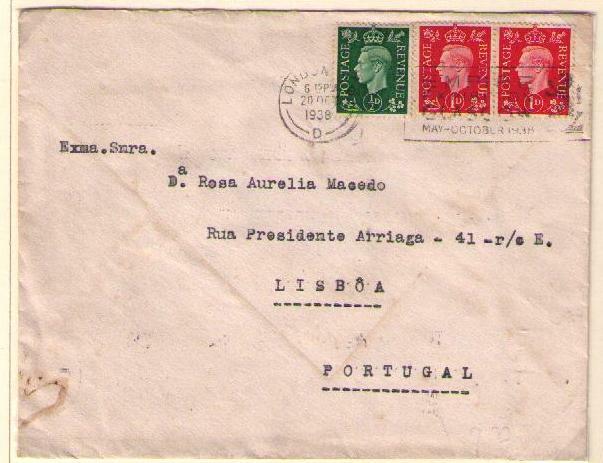 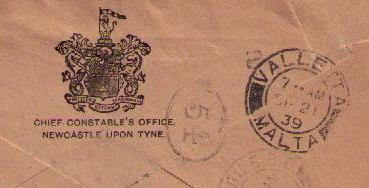 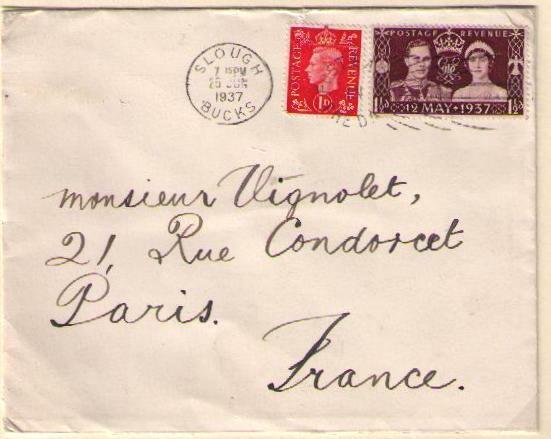 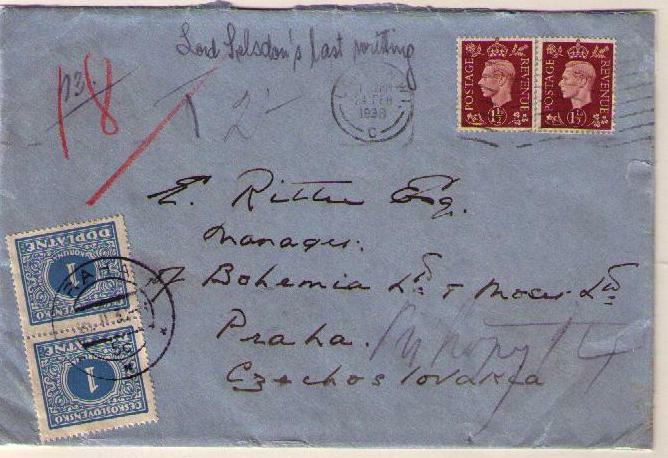 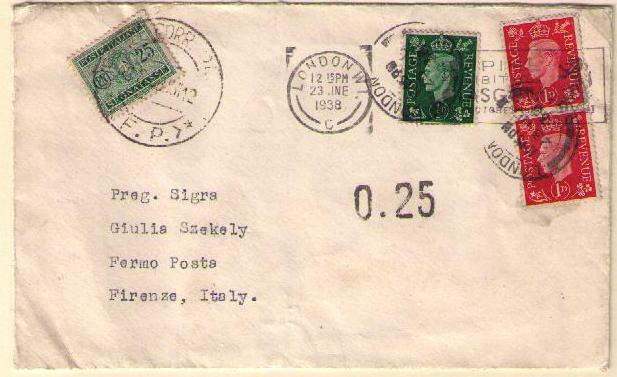 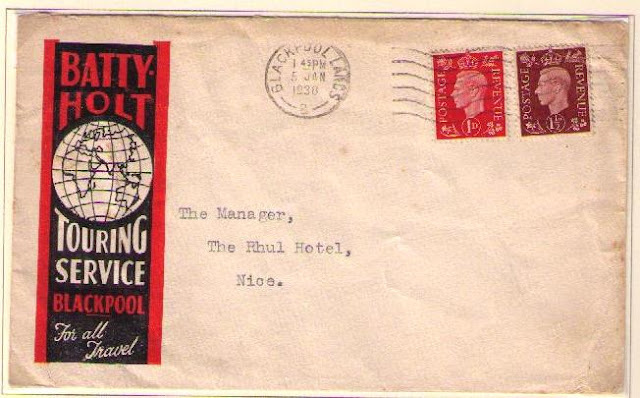 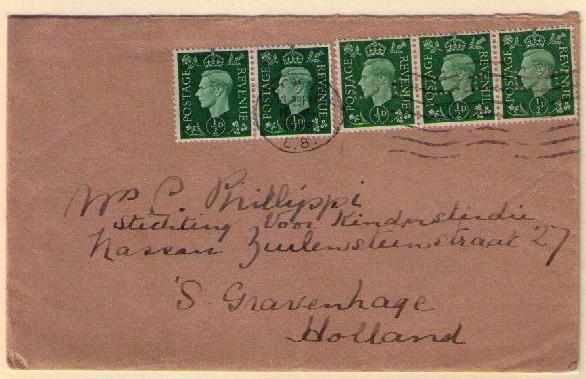 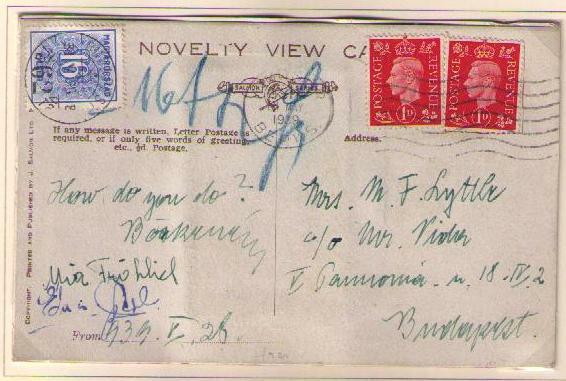 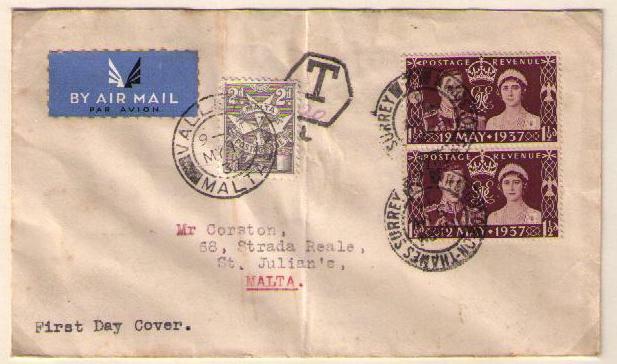 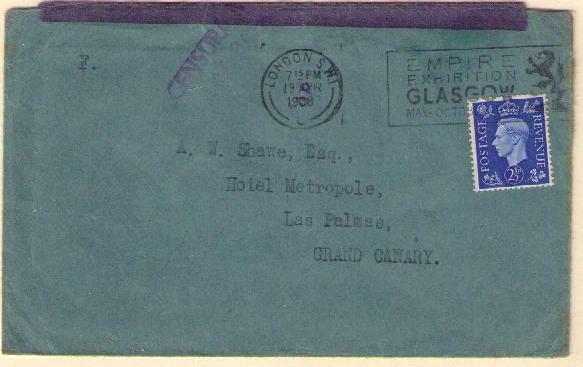 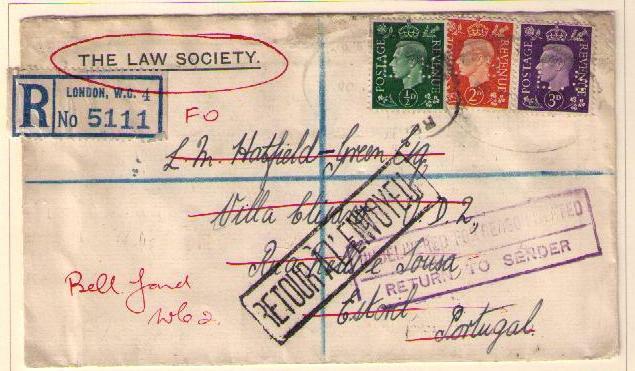 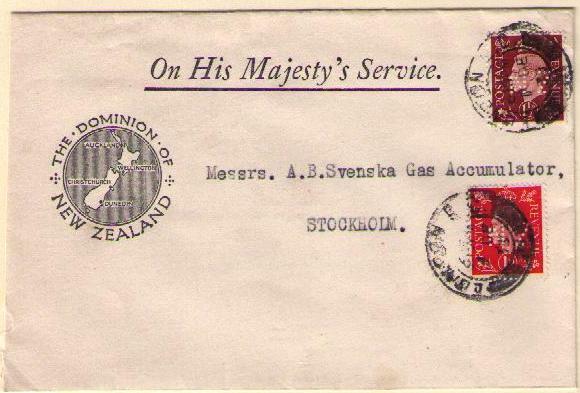 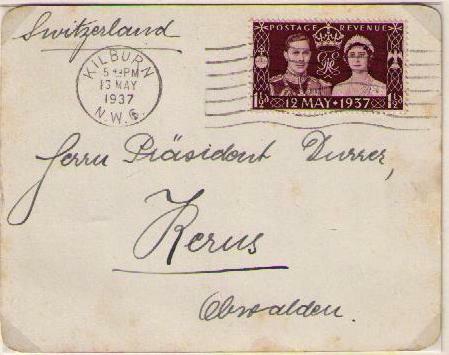 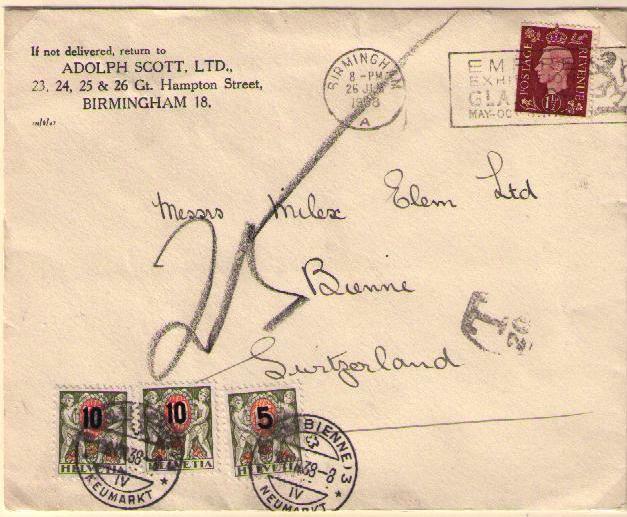 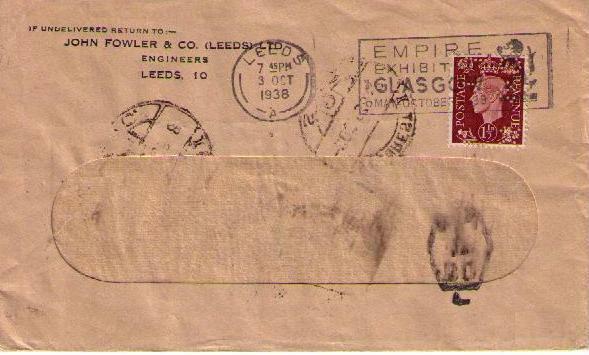 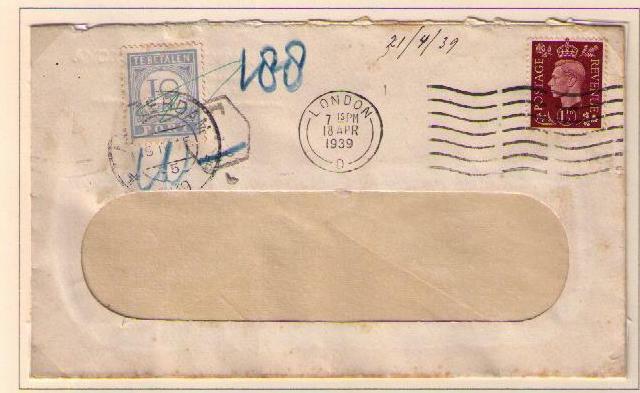 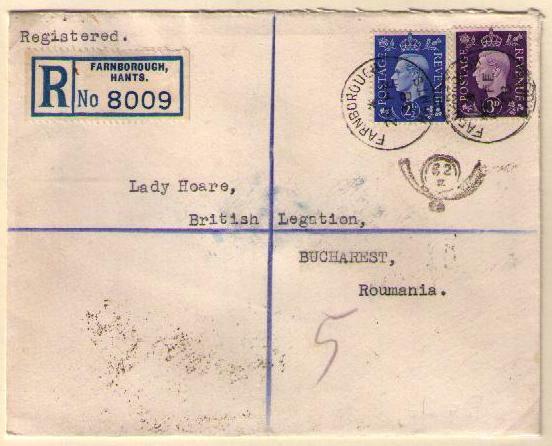 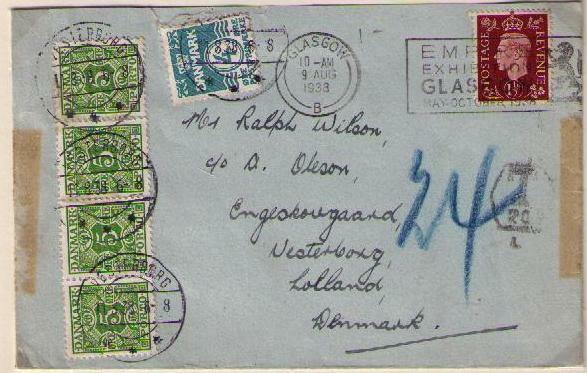 George VI definitive stamp had not been issued when this letter was mailed. 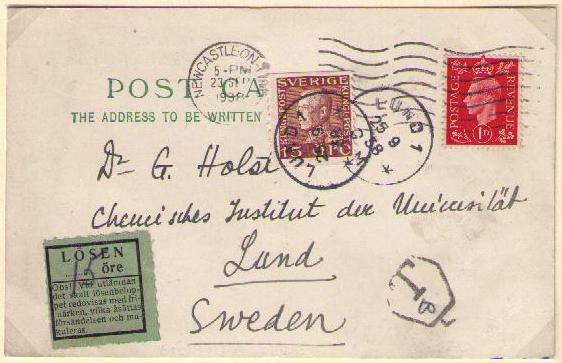 The date of issue was June 30, 1937. 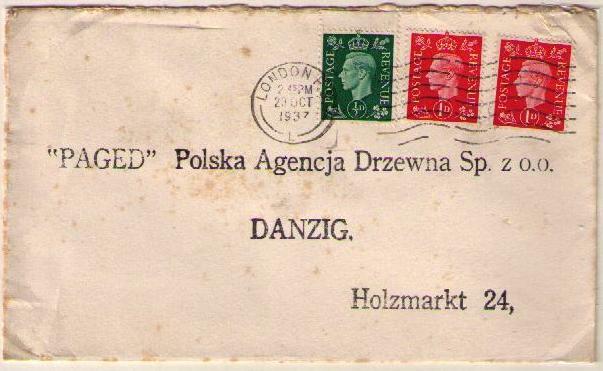 The fee was 5d. 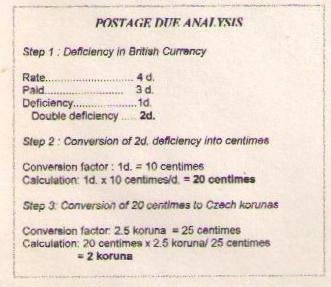 for the first 12 (registration fee included) and 2d. 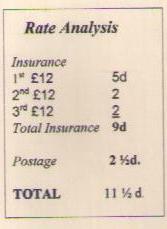 for each additional £12. 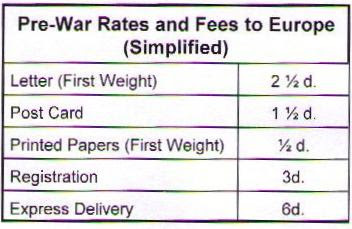 The printed papers rate to Europe was 1/2d. 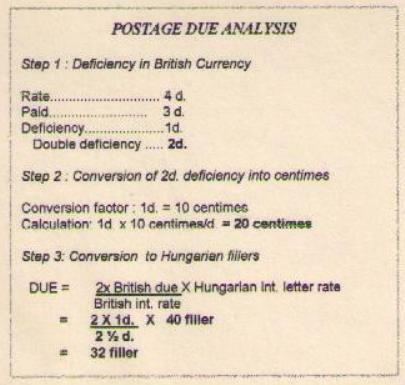 for each 2 ounces. 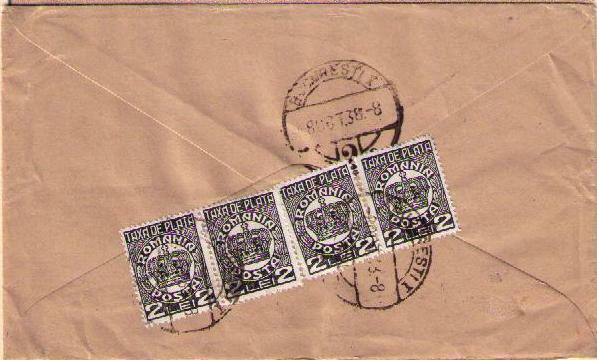 All-up service was not provided for printed papers.